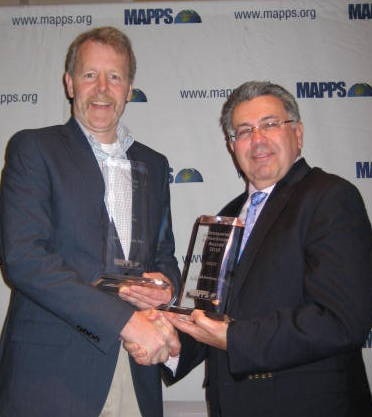 Mike Tully, CEO & President of Aerial Services, accepts the awards for Project of the Year and GIS/IT Category from MAPPS Executive Director John Palatiello. Palm Harbor, FL – In a ceremony held Tuesday at the Innisbrook Resort in Palm Harbor, FL, Aerial Services, Inc. and Teledyne Optech earned the 2016 Grand Awards in the 10th Annual MAPPS Geospatial Products and Services Excellence Awards. 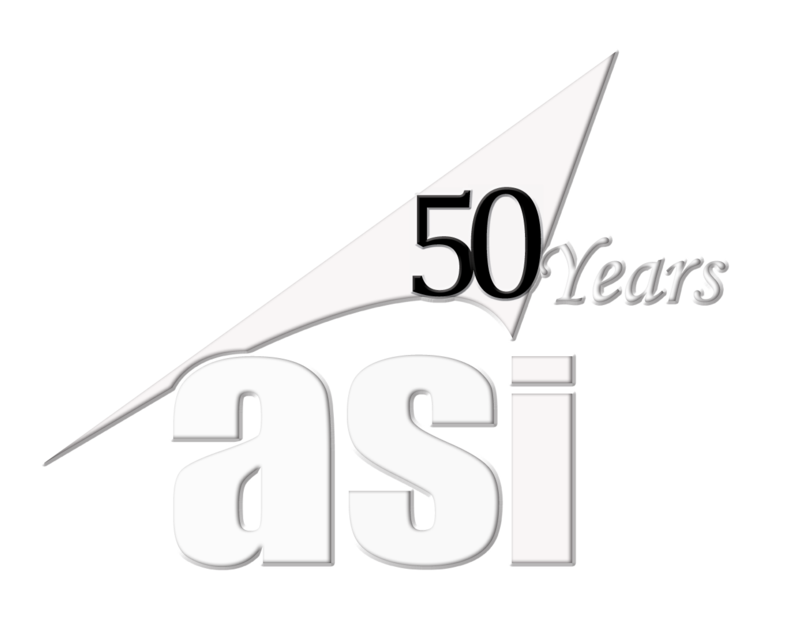 Aerial Services, Inc. Cedar Falls, Iowa, was presented the Grand Award for Project of the year as well as the GIS/IT category. 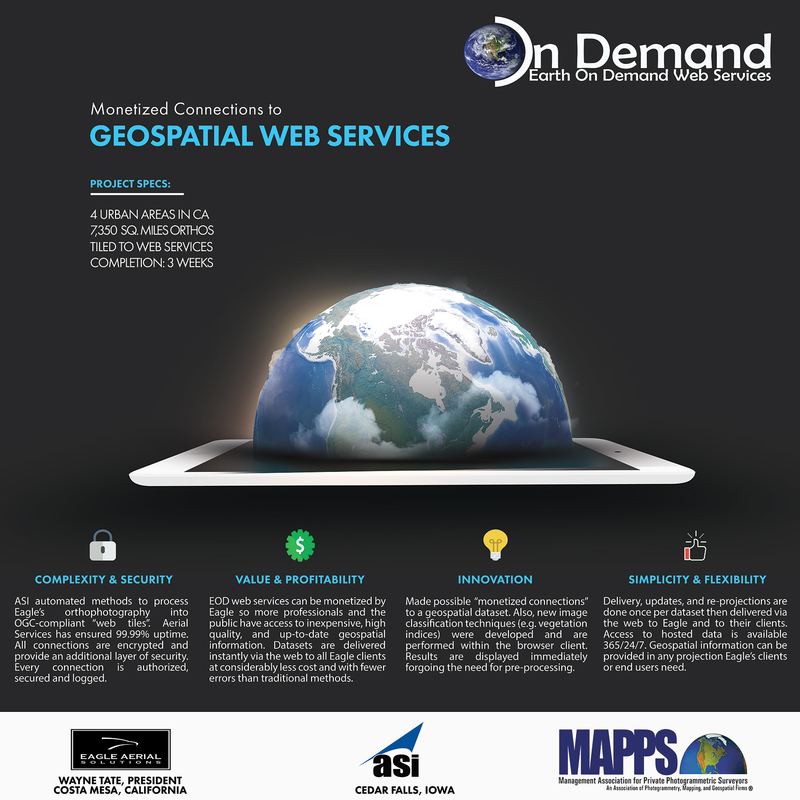 The Earth On Demand ™ project enabled the distribution of geospatial data (raster & vector) in near real-time to web clients and desktop geospatial applications like AutoCAD, ESRI, and many more. Because geospatial data are distributed using RESTful services like WMS, WMTS, WFS and WCS, users are assured that access to the data is Open Geospatial Consortium (OGC) standards-based and interoperable. This frees clients from spending on storage, server and networking infrastructure to manage very heavy geospatial data. Secure access to the data is guaranteed and very flexible. Clients pay for as much or as little of the service (& storage) as needed. Clients are able to access the existing large geospatial warehouse or add their own data to the mix. Access to that data is controlled by the data owner and can be monetized as needed. See the Earth on Demand poster entry below. 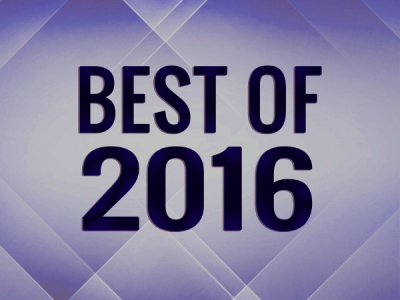 See the winners for each category here. 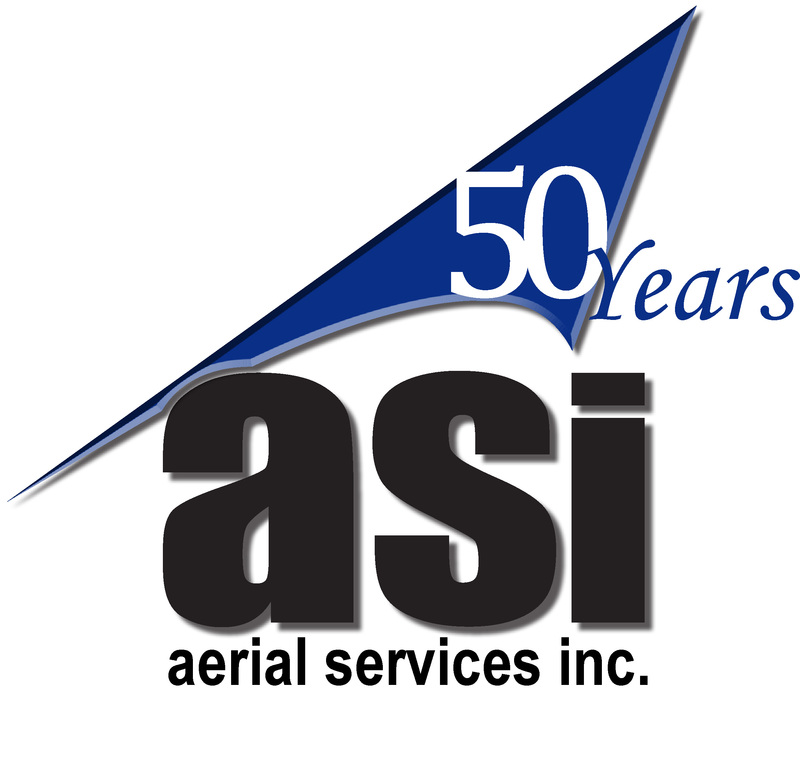 Aerial Services would like to say THANK YOU to our client Eagle Aerial Solutions for trusting in us to provide them with a web service that benefits them and their clients. We appreciate the opportunity to work with you! Formed in 1982, MAPPS is the only national association exclusively comprised of private firms in the remote sensing, spatial data and geographic information systems field in the United States. The MAPPS membership spans the entire spectrum of the geospatial community, including Member Firms engaged in satellite and airborne remote sensing, surveying, photogrammetry, aerial photography, LIDAR, hydrography, bathymetry, charting, aerial and satellite image processing, GPS, and GIS data collection and conversion services. 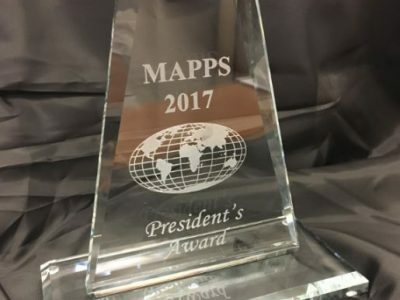 MAPPS also includes Associate Member Firms, which are companies that provide hardware, software, products and services to the geospatial profession in the United States and other firms from around the world. Independent Consultant Members are sole proprietors engaged in consulting in or to the geospatial profession, or provides a consulting service of interest to the geospatial profession. MAPPS provides its member firms opportunities for networking and developing business-to-business relationships, information sharing, education, public policy advocacy, market growth, and professional development and image enhancement.